Finishing up the 5777 High Holy Day Food Drive! IT’S OFFICIAL!!!! The High Holy Day Food Drive is here. Below is a shopping list of what you can purchase to fill your bags. Bags are available in the TBS Office. We’re asking everyone to pick up a bag, fill it, and return it during our High Holiday services. There are more people in Orange County in need of our help than in previous drives. 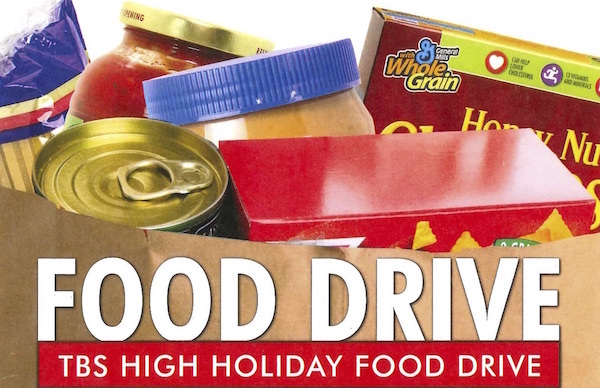 You may also view and print out the High Holy Day Food Drive flyer with details to take with you to the store.